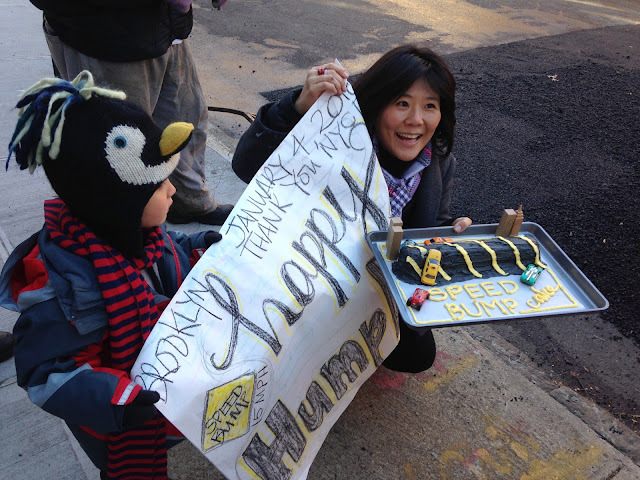 You just need two years a dream to get your own set of speed humps in New York City! 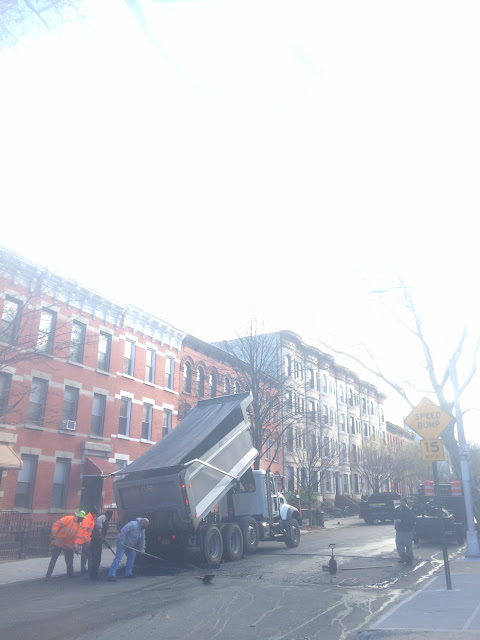 I just got a set of two humps on my block and they are beautiful. Something that freaks me out about living in New York is the crazy number of people who are killed by reckless drivers. The fact that cars turn at full speed onto streets without slowing down at crosswalks in New York, a pedestrian city, drives me insane. Also, cars would literally fly down our residential block at 45+ mph. 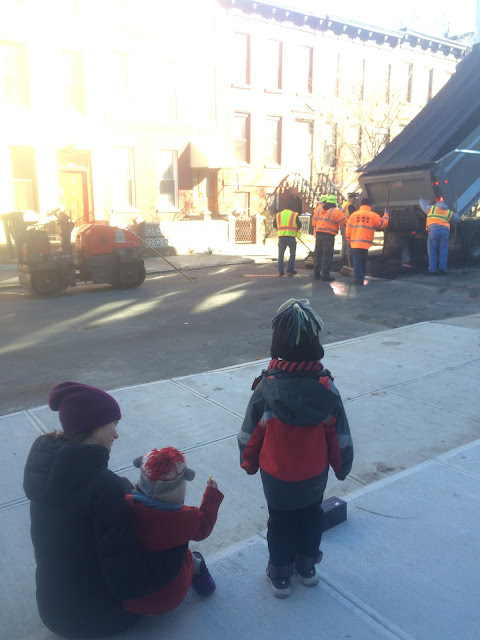 So, in January 2014, I looked into the process of getting speed humps on my block. 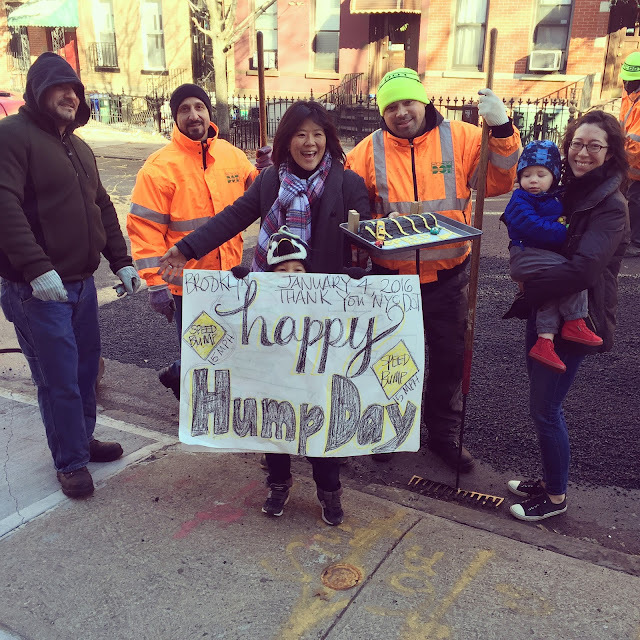 I was emboldened to make my request two years ago because I was inspired by New York City Mayor Bill de Blasio's Vision Zero plan for eliminating pedestrian deaths. It made me think that there was a shift in perspective and that instead of pedestrians being treated as obstacles to car traffic that lives might be respected. And I thought, there's no reason speed humps can't play a positive role in the attitude shift. 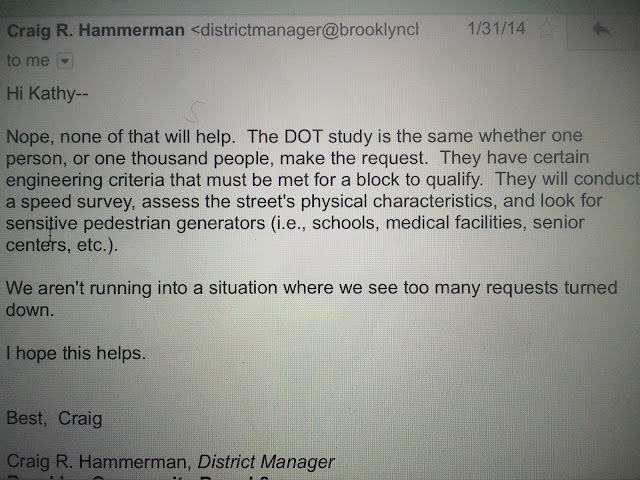 Craig Hammerman, the district manager of community board 6, cc'd me on an email to the New York City Department of Transportation, which got the ball rolling. 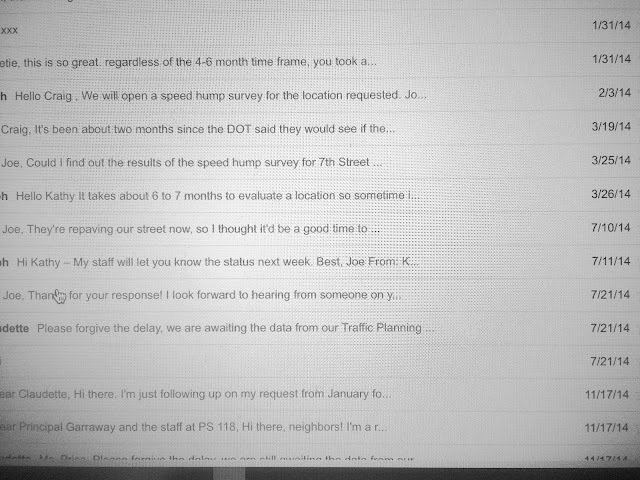 That initial email asking the DOT to initiate a traffic study to see if a speed hump was warranted on my street was sent to Joe Palmieri, who was then the Borough Commissioner at DOT/Brooklyn (now Keith Bray). I also learned then that you don't need a petition or anything...someone just needs to make the request. I always think it's nice to see examples of when just one person can make a difference. My journey had begun! I was initially told that the traffic study could take "4 to 6 months," which changed to "7-12 months," which turned into "16 months or longer." Here's information I found online (written by Craig Hammerman) about how to get a speed hump installed. I can't imagine snail mailing anything to the DOT, but that's another way to do it. 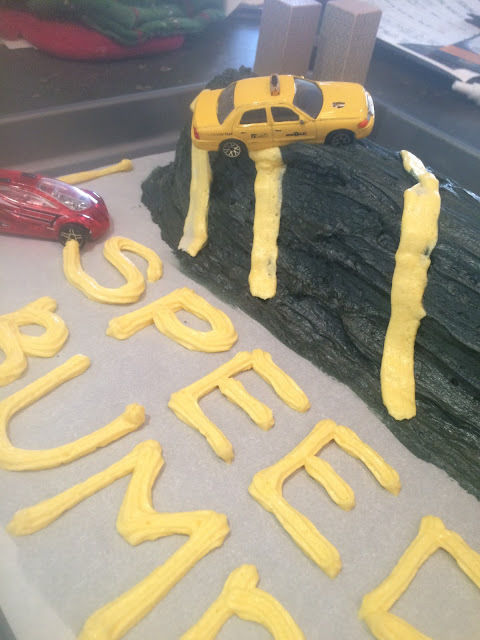 How do I get a speed bump installed? Since 1996, there has been the appearance of the speed hump on New York City streets. Unlike their louder, taller and narrower cousin the speed bump, speed humps were introduced as an effective way to safely reduce vehicular travel speed. Anyone can ask the Department of Transportation (DOT) to consider installing a speed hump. If the street is an eligible candidate (ineligible street types include bus routes, snow routes, truck routes, two-way and wide streets), DOT will schedule a speed study of the block. The evaluation process can take a few months. DOT will let you know whether they will be conducting a study and give you a projected date when you should expect to hear their findings. Speed hump installation, which involves the application of asphalt material, roadway striping and posted signage, is done on a seasonal basis. If you have any special pedestrian groups, like youth or seniors, that rely on your street to travel to-from schools, parks, senior centers, medical facilities, etc., make sure to note that in your request to DOT. It may make a difference in how the request is evaluated. 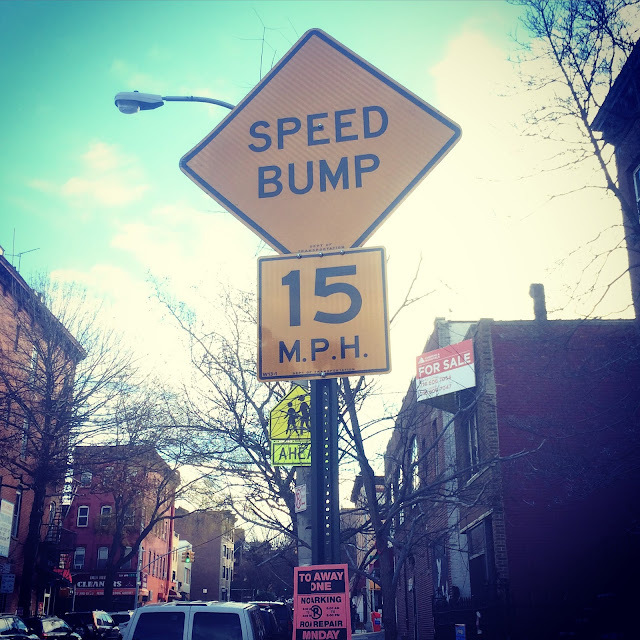 Requests for speed humps can be addressed to DOT: Borough Commissioner Joseph Palmieri, DOT Brooklyn Office, 16 Court Street, 16th floor, Bklyn 11241. Make sure you send a copy to CB6so we can followup or intervene on your behalf as needed. Incidentally, unsafe street traffic could have any number of contributing factors. Speeding may be one manifestation, and speed humps are only designed to reduce travel speed. Other traffic calm-ing devices and measures exist to make streets safer and more livable; feel free to check in with us if you think there's more to the problem. I basically checked in with the DOT every few months. What can I say? I was on a mission. I was always polite and so were the DOT employees, but I definitely felt like I had to stay on top of it. 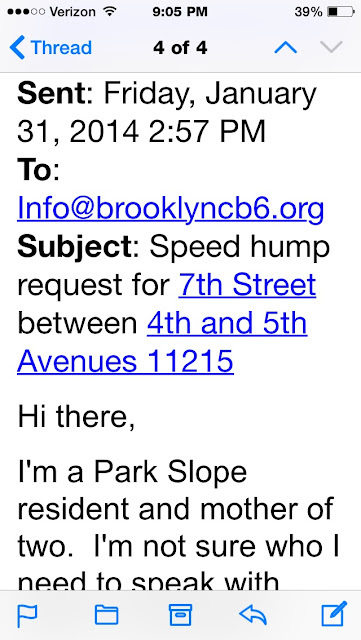 On May 20, 2015, 16 months after my initial outreach, I got an email saying that we were approved for speed humps! I had to read it a few times because it was like, there's no way. When I asked when the speed humps would be installed, they said it was slated for September. When September came and went, I asked if I could get an updated time frame and they just said we were on the list. I took that as never. But then last week, we saw a speed bump sign go up and signs saying that road work would be done on Monday, January 4, 2016. I couldn't believe it. My humps...my humps! 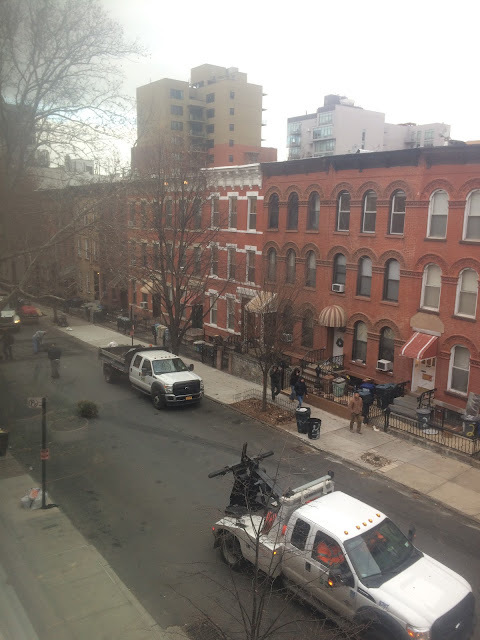 I didn't really, really believe the humps were happening until I saw the DOT trucks setting up this morning. It was like, Santa's heeeeeere! I had always planned to celebrate the humps. I figured I worked hard for this and the workers were working hard for us. And I wanted to use the opportunity to teach my kids a little lesson about achieving goals, the importance of showing appreciation and the fun of celebrating accomplishments, etc. 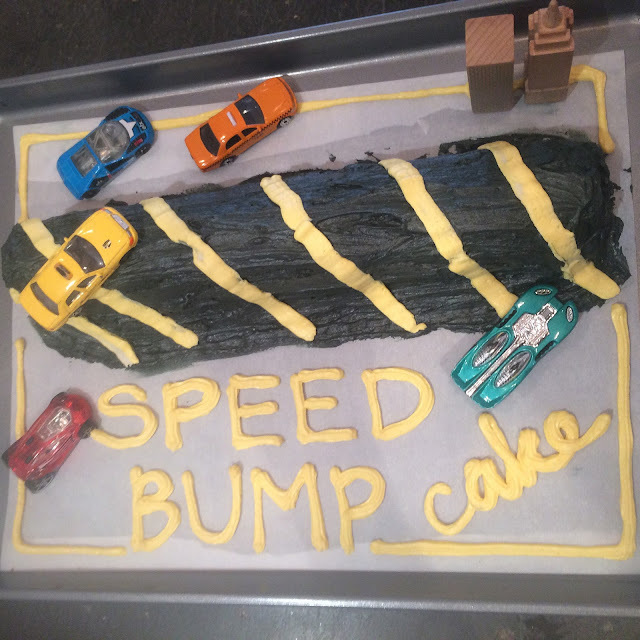 This morning, I made a speed bump cake and hot cocoa. 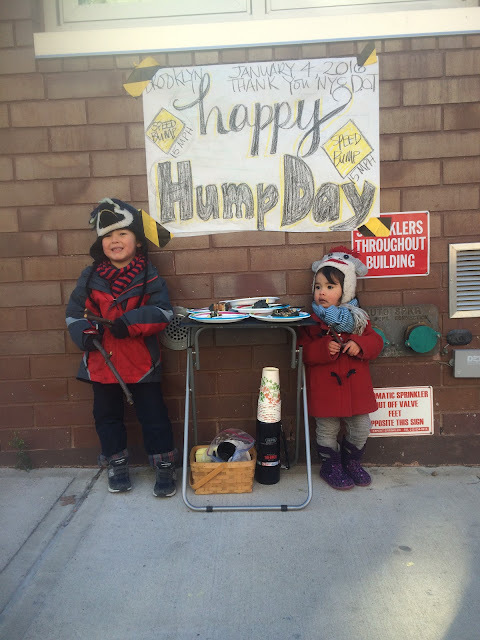 We blasted the Blackeyed Peas song My Humps and thanked the DOT workers. They were all so amazingly appreciative. A few of them said they had been working for the DOT for 22+ years and had never seen anyone thankful like we were. It was a happy and fun morning with the DOT crew! It took two years, but it was a positive experience over all. 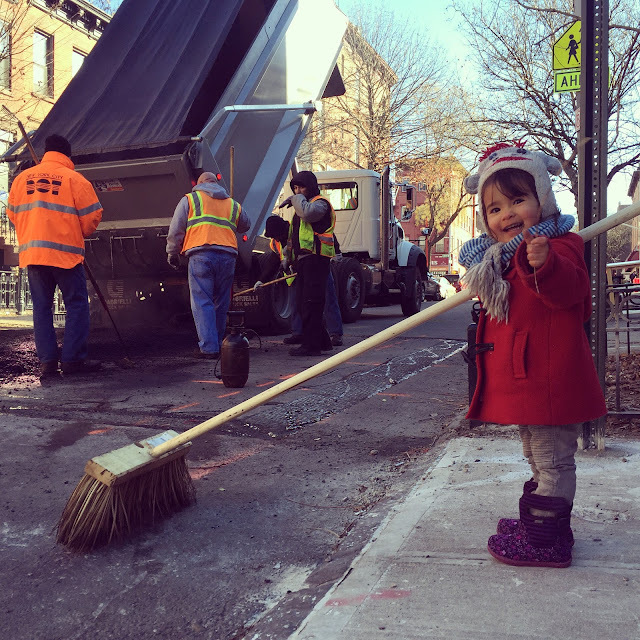 I thank the New York City Department of Transportation! A "speed hump" on an uphill-street? So.... are things better? I've thought about requesting one on my street but have heard that speed humps can make things worse because the same idiots slam on the brakes at the hump and then floor it after causing more danger and noise. Hi! Yes, I love my humps! There has been a huge improvement, not just in safety, but also noise. You don't hear that revving up sound (we're on a hill) all day.